Mai is a talented artist and textile designer based in Melbourne with a wonderfully ornate and unique illustration style. Mai's decorative patterns and motifs are inspired by European, Asian and Middle Eastern cultures, and cleverly married with illustrations of flora, fauna and wildlife found in her garden, outside her front door and throughout Australia. Read on to find out more about Mai and her practice. Ilford is of course very well known from the traditional darkroom days, but in recent years Ilford have become one of the biggest players in the digital printing market as well. Ilford Gallerie Smooth Pearl is the best selling photo inkjet paper in the world today - and for good reason as it's an excellent day to day paper. The Ilford name has been synonymous with quality photographic papers for many decades now, and the future looks even brighter. They have a number of excellent resin coated papers and some exciting new fine art papers as well. With their recent acquisition by an Australian company, Ilford now offer a unique combination of quality and value and we see a great future for them! Back in 2013 we were formally recognised for our excellence in colour management, process control, and fine art printing - and were selected as the very first Ilford Australia Certified Printing Partner. 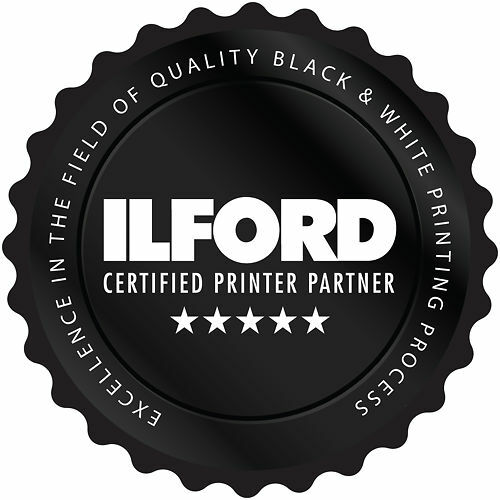 Ilford is a company that we are proud to be associated with - we personally have found their QC to be a cut above the rest of the paper industry. They have a high quality standard in partners that they look for as Ilford Certified Printers. Image Science recommendations and our complete Ilford Galerie fine art inkjet paper range. For support directly through Ilford please find the contact details listed below. Thank you for the profiles. I have tried them and the prints have come very close to the screen colours. I had a vast difference between the screen and printer before I installed these profiles. Once again, thankyou for the prompt service.